Solar power is a trend, no doubt about that. But how fast will it really spread? We all know the importance of sustainable power sources, but is it reasonable to expect that the switch to green energy will be painless? In this article, I’ll try to answer the question “What we can expect to happen in the US related to solar energy in the near (and not so near) future?”. Solar energy has been with us for some time. It’s no longer unusual to see rooftop solar panels or larger solar farms. With technology development, solar panels have become widely used and it isn’t just clean energy enthusiasts who install them: people are installing them as a form of investment . The data is astounding. 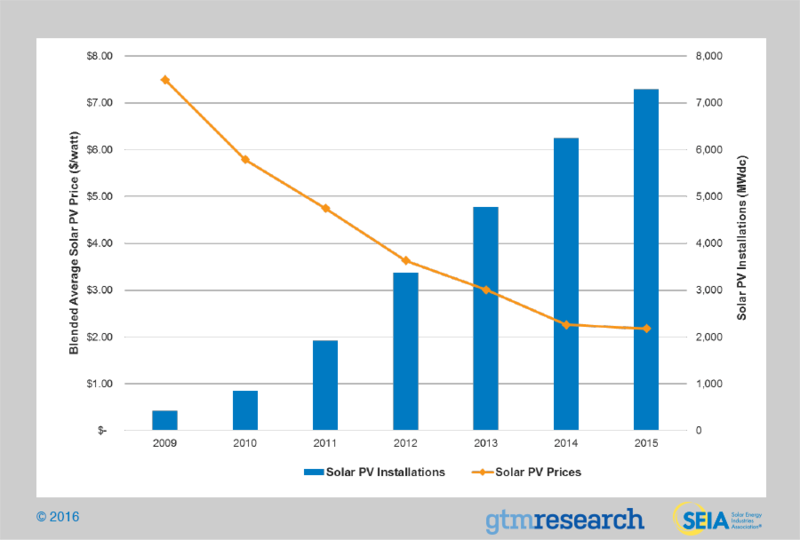 In the last decade solar energy has experienced a rapid growth and not only did the number of installed solar units increase, solar energy has become a major player in the US economy. Since 2010, the number of people working in the solar industry has doubled . In 2015, some 210 000 people worked in the solar energy business. As with any other business, the growth of competition meant that the prices were falling down. In the last 10 years, the prices have dropped over 60% , making the investment even more profitable. And it’s important to point out that although California has traditionally been the leader in the field, we have seen a steady growth in the number of installed solar panel units across the United States. But, knowing how we stand is the easy part. Data is widely available and it speaks volumes. Predicting what the future holds is a bit more challenging. With the new administration that denies climate change and that isn’t too keen on supporting Eco-friendly energy sources, people are worried what the future will hold for the solar power industry. This article was originally published at CleanEnergyAuthority.com. See the full article here.